There are not a lot of smartphones nowadays that offer support for hardware add-ons. The just-unveiled Essential Phone is among the few that have this feature, and so is the new Motorola Moto Z2 Play. 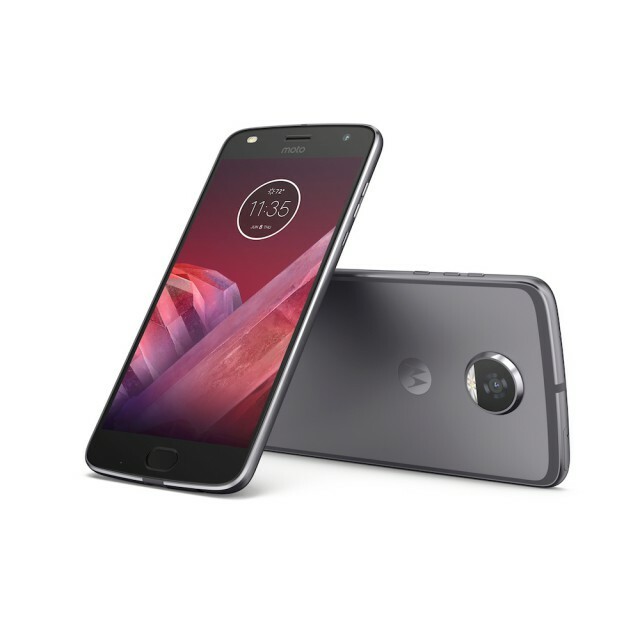 The Moto Z2 Play is the successor to last year's Moto Z Play, and is positioned as a mid-range smartphone -- albeit at a price that is much closer to the premium segment than the entry-level. It also comes with a bunch of new Moto Mods for users to customize their experience. The smartphone features a 5.5-inch display with a resolution of 1,080 by 1,920, is powered by a Qualcomm Snapdragon 626 processor, has a 12MP camera with f/1.7 lens, 5MP front camera with f/2.2 lens and flash, a 3,000mAh battery, 3GB or 4GB of RAM coupled with 32GB or 64GB of storage, respectively, microSD card slot and a water-repellent coating as its main highlights. The price? Motorola says it costs $499 for the 64GB model, which is a lot to ask for a device with these kind of specs. However, Motorola is likely hoping that consumers will find it more attractive because of the add-ons it can be paired with. The JBL SoundBoost 2 speaker, Moto GamePad, Moto TurboPower Pack and the Moto Style Shells with Wireless Charging are all new. The first three cost $79.99 while a wireless charging case can be had for $39.99. The prices are reasonable, considering the functionality they add to the device. The JBL SoundBoost 2 provides better sound, 10 hours of battery life, and comes in three colors: black, blue and red. The Moto GamePad helps you transform the Moto Z2 Play into a small gaming console, with dual control sticks, D-pad and four action buttons, and it comes with a 1,035mAh battery. The Moto TurboPower Pack gives you an extra day of battery life or quick charging times; it can be charged to 50 percent in 20 minutes. Last but not least, the Moto Style Shell with Wireless Charging lets you add wireless charging to the Moto Z2 Play and add protection to the back of the device. The Moto Z2 Play will be available this summer from Verizon (as a carrier-exclusive) and Motorola's website (as an unlocked model).